- We commissioned this bag specially to contain the Flambeau 7000 series Tufftainers as there wasn’t until now such a bag available. The rear pocket of the bag (17” x 12” x 4”) comfortably contains a 7000 series Tufftainer as can be seen in the picture below. Also included is a pop-in, pop-out divider that divides the main pocket into three to accomodate six 3003 Tufftainers. Please note standard shipping for this item is 3 to 5 working days UK mainland only; Please contact us for faster, highland and island shipping options. 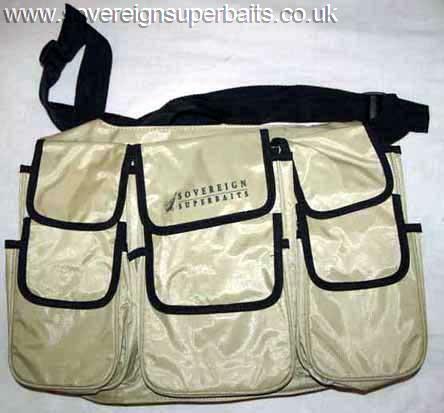 The front portion of the bag (17” x 10” x 2”) contains six open and one full width closable pockets which as you can see from the picture comfortably accommodates just about everything you need for a mobile lure fishing expedition. There is in addition a zippable document wallet on the rear of the bag. 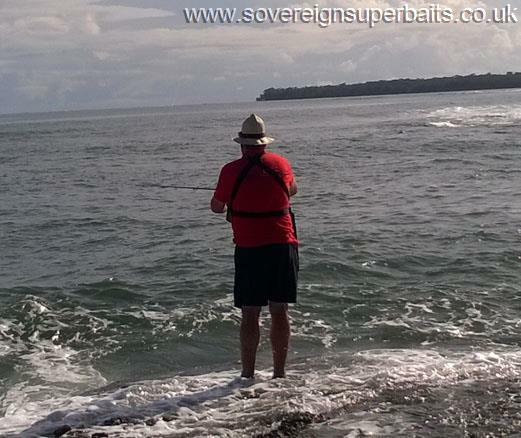 - We saw a real need for this product while on a saltwater fly/lure fishing expedition in a tropical destination a few years ago. 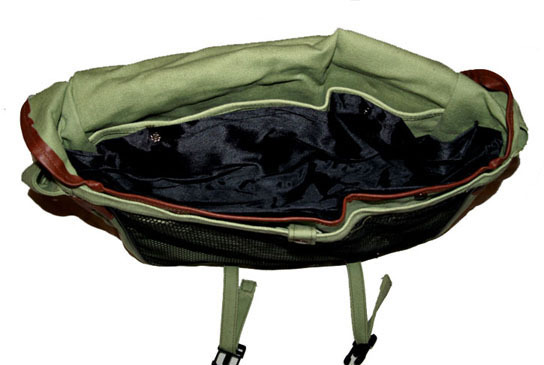 There are many chest packs out there on the market to cater for trout sized fly/lure boxes but only one other with pockets large enough to take big game/pike fly's & lure sized boxes or even just your bass rock hopping/roaming gear and it is three times the price, plus you have to import it from the USA. 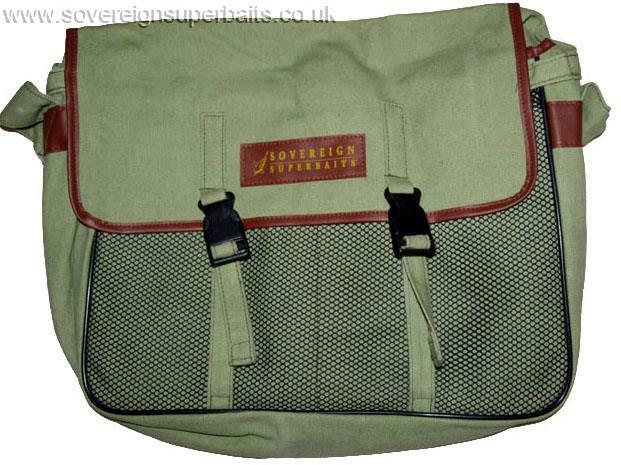 These Chest packs are not just for fly fisherman, they are great for rock hopping when you need to move quickly due to tide & needing to remain mobile. They are also a top notch piece of kit for the Kayak angler, no reaching round behind you or undoing bungees, everything is literally "right under your nose" in six convenient pockets that you can look down into with out moving ! 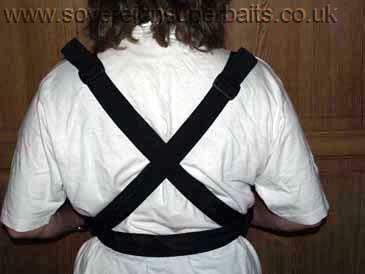 Our one comes with two criss-cross shoulder straps and one waist strap, on which you can put your camera, knife, net or anything else that normally hangs of your belt (if you're roaming/rock hopping) all the straps are long enough to go round a 60” chest and if your measurements are smaller (& most of you are) you can simply cut off the surplus if the spare length bothers you. The whole item is made from rot/salt proof ballistic nylon & it has 3 long pockets and 3 short pockets. 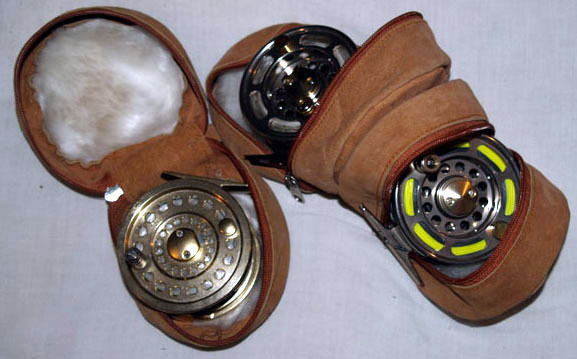 The outside pockets (of which there are 4) are 9” tall in the rear, 6” in the front, both being 2.1/2” deep and 4 1/2” wide. 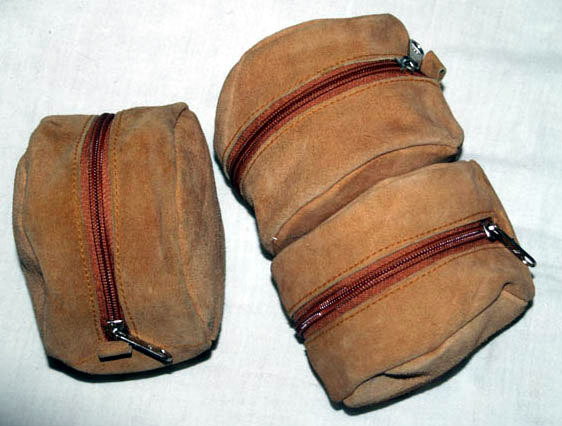 The centre pockets (of which there are 2) are the same height and depth but a full 6” in width, giving you a total of 6 large pockets, all with Velcro closures. Enough space to carry 5 times more flies/lures than you can chuck in any day plus camera, phone, traces, scissors, forceps, in fact whatever you fancy, the tall pockets are also big enough to get can/bottle of drink in. The whole thing is washable so you can even put bait in a pocket & simply rinse the pocket out at the end of the session, without getting the pocket stained & stinking ! On the rear there is a full width document/permit/phone pocket with waterproof (to 2m) zip, so if you get hit by a big wave or fall in your valuables will stay dry. All in all a very useful piece of kit and extremely reasonably priced.